Project Renewal has begun renovating its newest shelter, our first in the Bronx and the first to be owned by us. This shelter will serve on the frontlines of our efforts to overcome homelessness by offering 108 homeless New Yorkers a safe and supportive setting and assistance in moving into permanent homes. By customizing the design of the space and the structure of the program, which will house men with histories of mental illness, we can better serve this hard-to-reach population. The shelter’s dorm areas will help build a sense of community and including a Peer Counselor on our staff will be of great assistance during the crucial period when clients transition from the shelter into housing. In addition to services provided by on-site nurses and mental health providers, primary care will be available to residents through our licensed medical vans. This shelter will help meet the record demand for shelter in New York City as well as help the City meet its commitment to provide clean and safe shelter to every homeless person who seeks it. 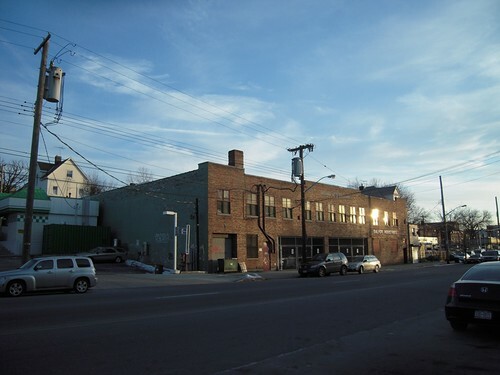 On May 3rd, Project Renewal closed on the purchase of the 20,900 square foot building in the Wakefield neighborhood of the Bronx. Formerly used as a car repair shop called Garrett’s Garage in the 1920s, the building went on to be used as a factory to make sights for bombers during WWII. It is located on the second to last stop on the number 2 line, near the Nereid Avenue stop. In early June our contractor, Erin Construction & Development Co., began the first stages of gut rehabilitation. The new design by Architects Edelman Sultan Knox Wood will include skylights to let in sunlight from the roof to the second floor, resulting in an open and inviting atmosphere. We are accepting proposals from local artists to incorporate artwork on the building’s front entrance gate. The total development cost for the project is just under $11 million, financed by a construction loan from JPMorgan Chase Bank’s Community Development Group and the Contact Fund. Read more about how we help homeless New Yorkers with Mental Illness.